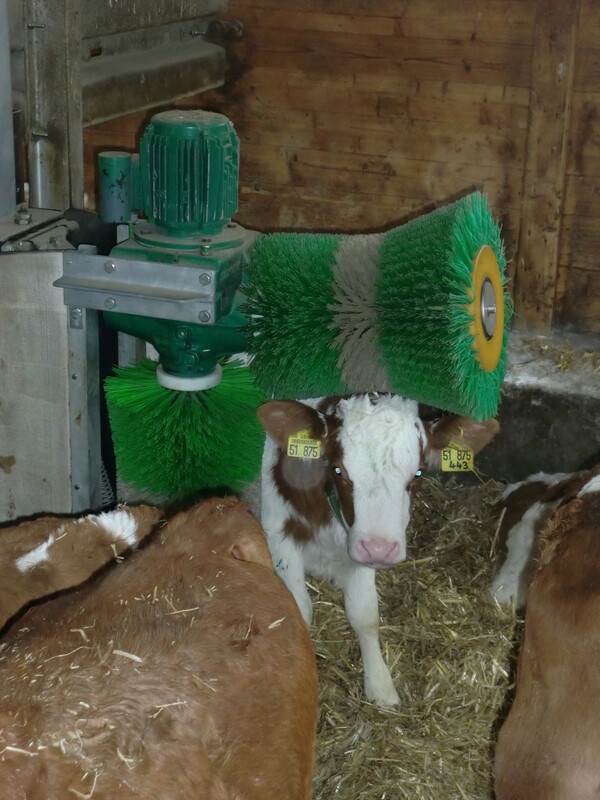 "Well cared for is half-feeded." 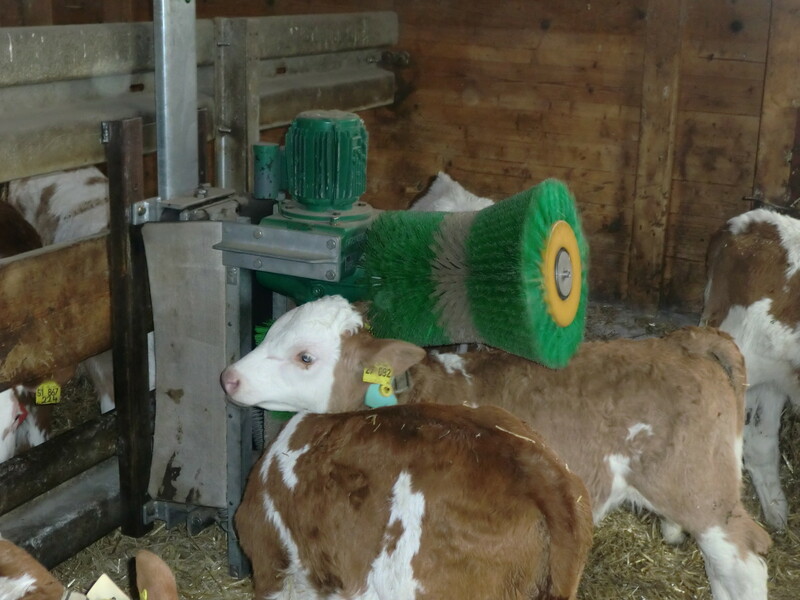 Regular brushing increases the wellbeing of your calves. 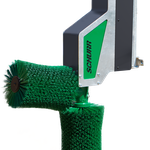 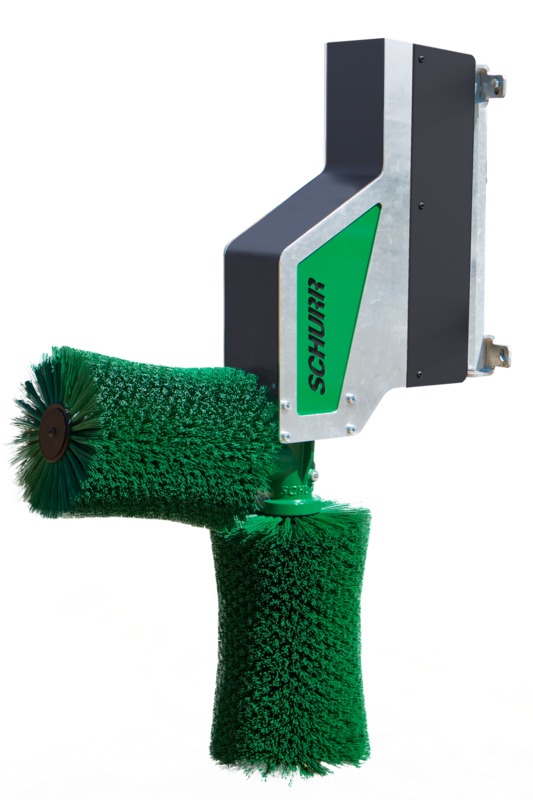 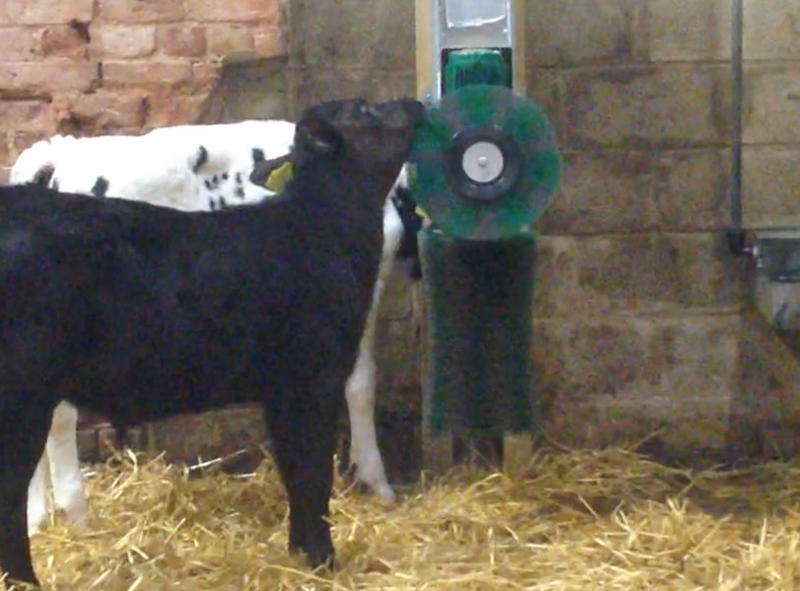 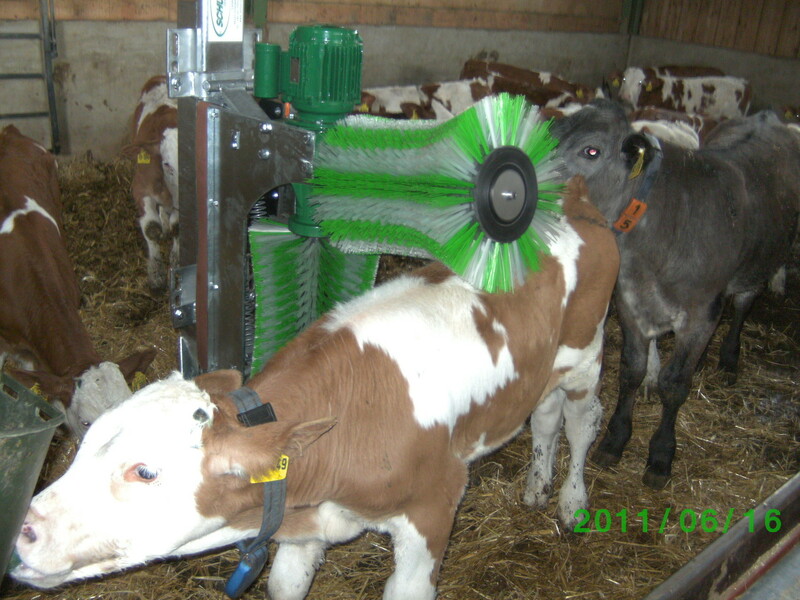 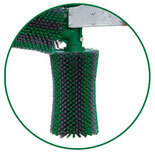 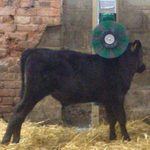 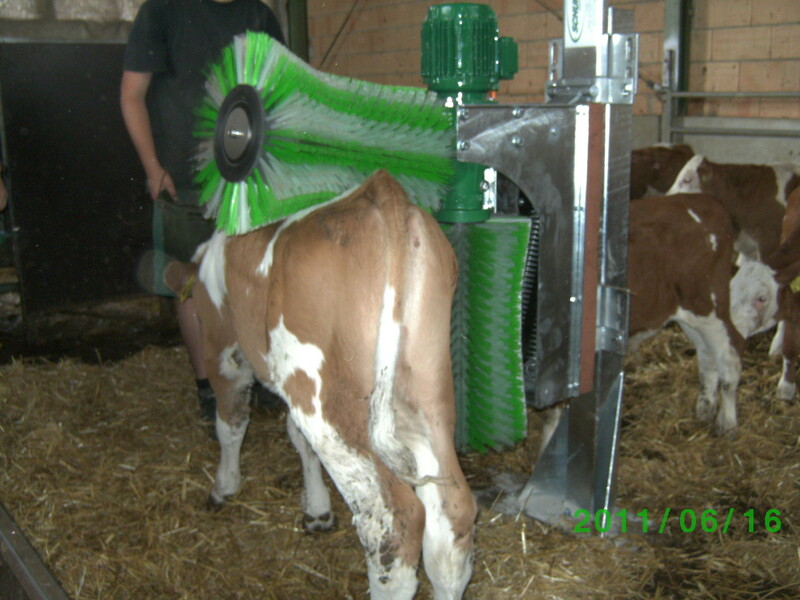 By raising the brush, the 2-brush-system is automatically switched on from the calves. 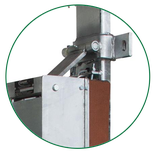 Different heights are perfectly balanced by our patented parallelogramgram construction. 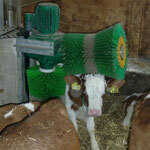 Maximum safety for your animals! 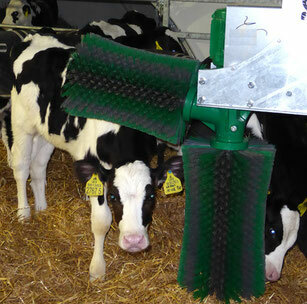 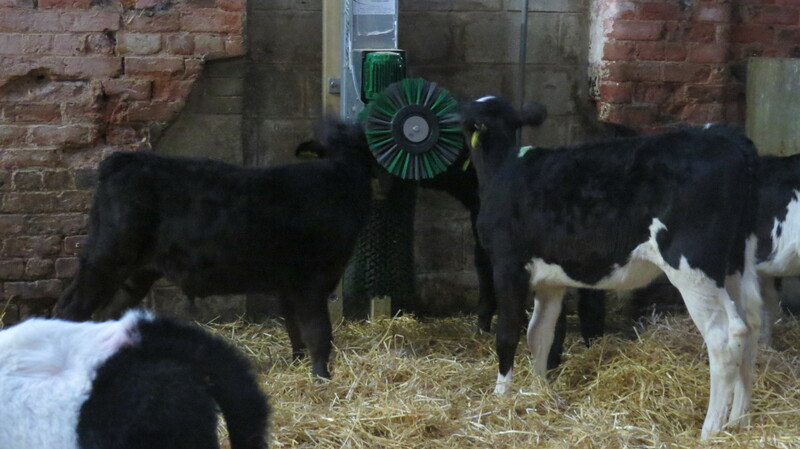 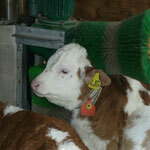 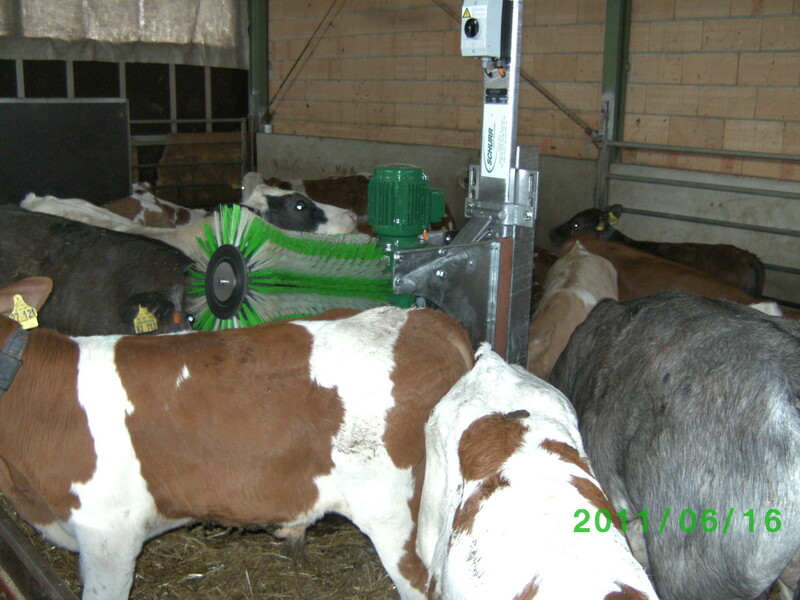 The housing of calves in groups allows free access to the automatic brush. 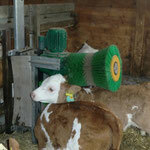 The calves deal daily with the grooming. 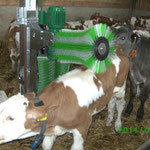 All parts of the body to be cleaned and massaged by your animals. 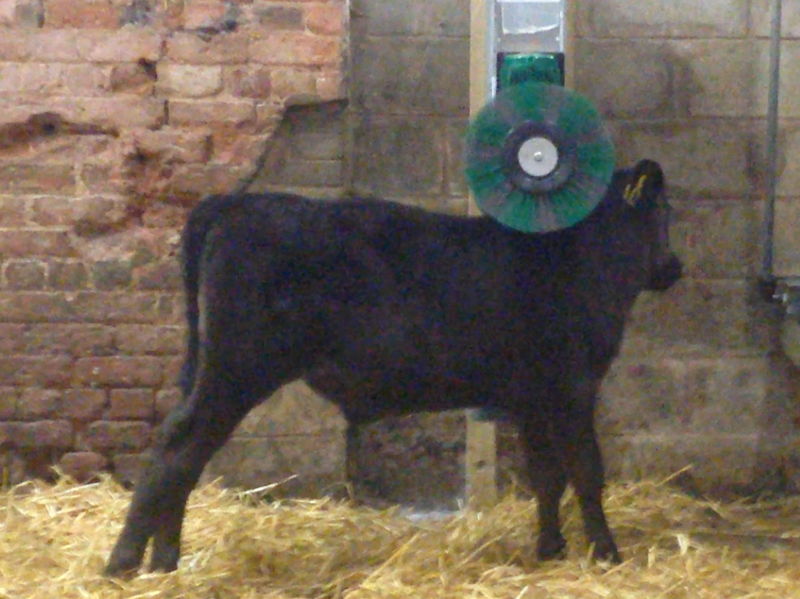 Invest early into your future - the well-kept calves of today are your miking cows with high performance tomorrow! 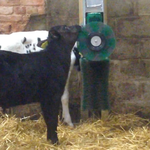 Our 2-brush system is suitable for calves of a few days until the age of 10-12 weeks - for young cattle we recommend our 2 brush-system for milking cows type B00 or type C12. 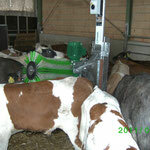 We are market leader with many new agricultural products for the animal welfare. 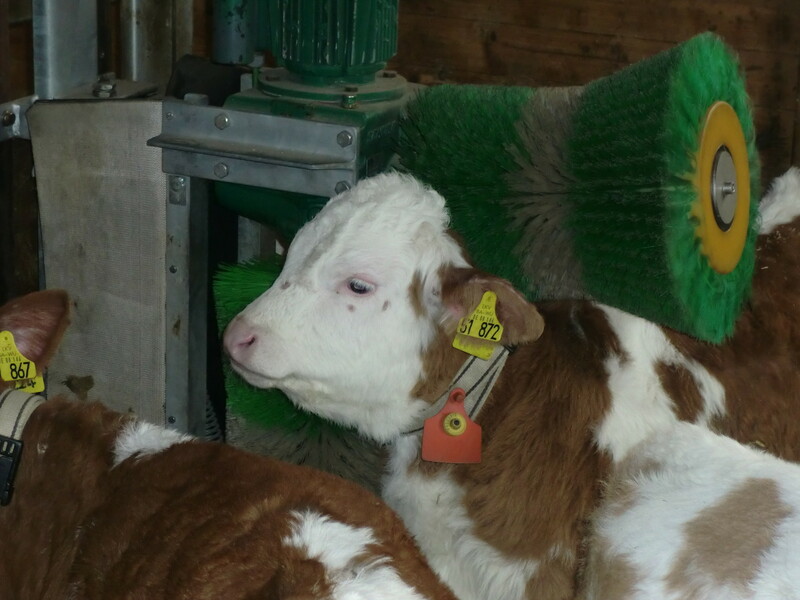 Our experience is your advantage! 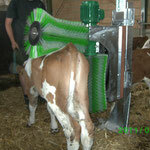 With new ideas we are more effective than a lot of our competitors. 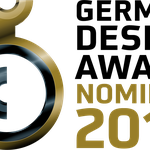 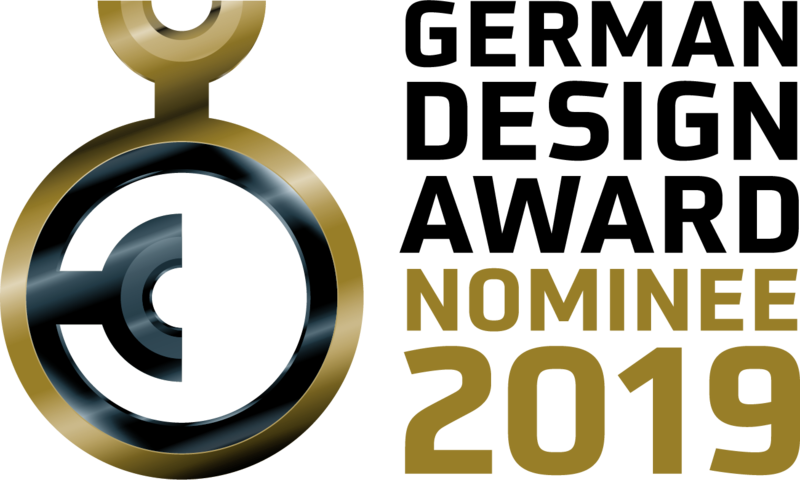 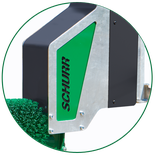 Our aim is it to provide you with best solutions for your animals: SCHURR, for sure.